lenavoegele – Experience Design - functional training software for personalized training plans. As a fitness trainer, you should optimally adapt your training plans to your customers. In order to regularly check trainings and adjust exercise repetitions as well as difficulties, a software is recommended. 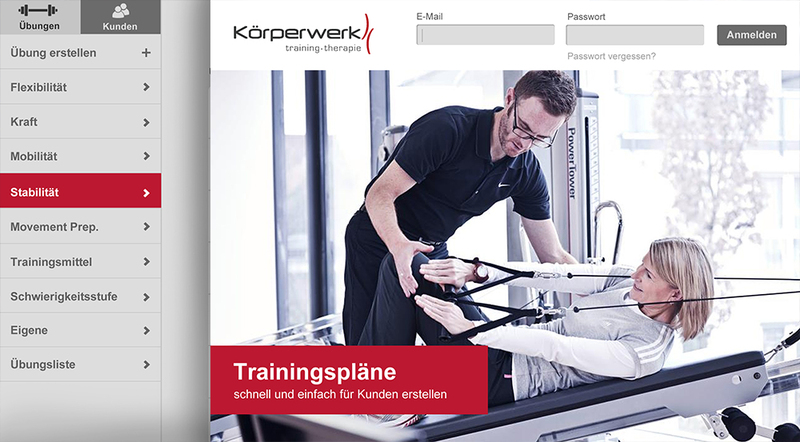 The functional training software for personalized training plans used at the "Körperwerk" physical therapy practice was developed to ensure this purpose. The layout has been streamlined and simplified to optimize the functional structure of the software.